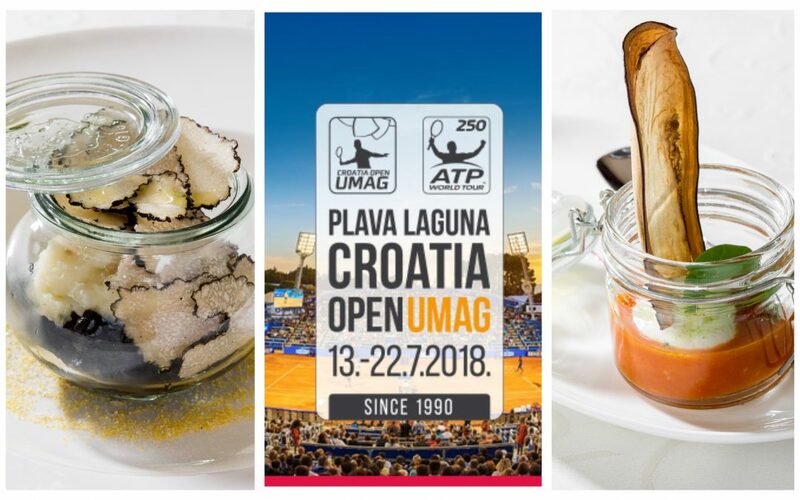 ATP Croatia Open, world famous tennis tournament and one of the most important sports events in Istria, is also accompanied by numerous other happenings such as Istria Gourmet Festival – a unique gastro show which introduces only the best when it comes to local cuisine. We are proud to announce that this year San Rocco restaurant will also be a part of Istria Gourmet Festival where we will present some of the delicious specialties and delicacies inspired by the traditional Istrian cuisine and prepared by our renowned chef-patron Teo Fernetich. Here at San Rocco’s we use only carefully selected seasonal ingredients such as truffles, wild asparagus and mushrooms, as well as fresh fish, game meat and other quality ingredients, to create a unique sensation, both visually, and on the palate. If you ever wanted to get a true taste of Istrian gastronomy, this is the perfect chance. Visit San Rocco gourmet stand, try some of the amazing specialties from our rich menu, pair them with some of the best Istrian wines and spice up your ATP Croatia Open adventure with a gourmet experience you will most certainly remember.